Naa’imur Zakariyah Rahman planned to assassinate Prime Minister Theresa May. An Islamic State terrorist who plotted to kill Prime Minister Theresa May has been jailed for at least 30 years. Naa’imur Zakariyah Rahman, 21, planned to bomb the gates of 10 Downing Street, kill guards and then attack Theresa May with a knife or gun. He had pledged allegiance to IS and collected what he thought was an explosives-packed puffa jacket and rucksack when he was arrested last November. The drifter, originally from Birmingham, thought he was being helped by an IS handler when in fact he was talking to undercover officers. He was snared by a network of undercover counter-terrorism officers from the Metropolitan Police, the FBI and MI5. Rahman, from Finchley, north London, was found guilty of preparing acts of terrorism despite claiming he was set up. During his Old Bailey trial, he admitted to helping a friend to join IS in Libya by recording an IS sponsorship video. Following his conviction, he told a probation officer that he would have carried out the attack if he had been able to. The “clever and cunning” young man had the potential to “operate below the radar to dreadful effect”, according to a pre-sentence report. The judge sentenced Rahman to life in prison with a minimum term of 30 years. For the IS sponsorship video, Rahman was handed six years in prison to run concurrently. The judge stressed the undercover officers involved in the case were “scrupulous” at all times and Rahman was the “instigator and author” of his own actions. The trial had heard how Rahman was encouraged by an uncle who travelled to Syria to fight and was killed in a drone strike last June. Two other uncles had been jailed in August 2016 for funding terrorism. His concerned mother had moved to north London to get away from their influence, and Rahman was referred to the de-radicalisation Channel programme. But Rahman spun a web of lies to Channel and went on to plot his attack over the course of two years. He regarded the Parsons Green bombing as “the start” and hailed the Manchester Arena terrorist, saying he had “done well”. 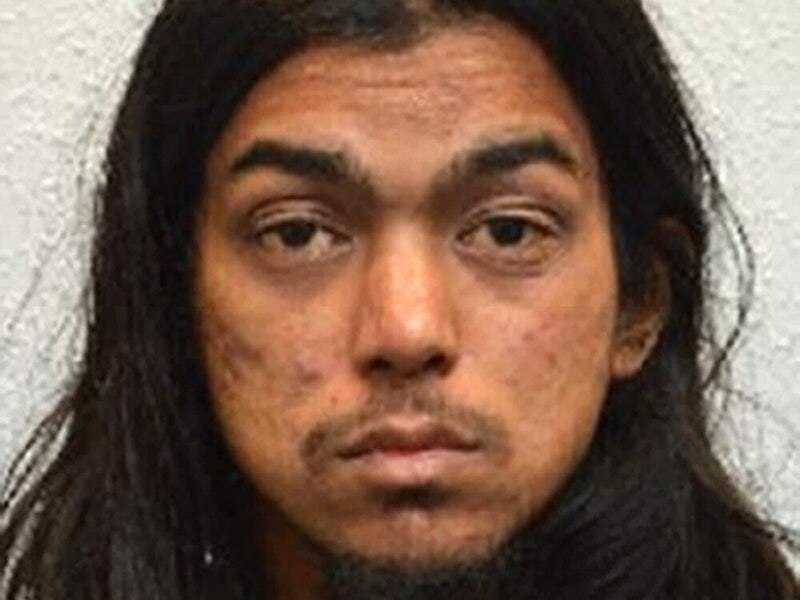 Rahman came to the attention of police in July last year and an examination of his mobile phone raised concerns he was harbouring extremist views. After his uncle’s death, he became even more determined and turned to the internet for help in his attack plans. Rahman made contact with an FBI agent posing as an IS official online, who introduced him to an MI5 role-player. The defendant revealed his plans, saying: “I want to do a suicide bomb on Parliament. “I want to attempt to kill Theresa May. He later described using a suicide belt, a drone, an IED and poison, referred to as “P” or “curry mix”. By early November last year, he appeared settled on an attack on 10 Downing Street with a suicide bomb, gun or knife. On November 18 last year, Rahman carried out reconnaissance around Whitehall. Two days later, he bought a rucksack from Argos before meeting an undercover officer in Brixton for it to be fitted with explosives. On November 28 last year, the officer handed back Rahman’s rucksack and coat, now packed with dummy explosive devices and replica pepper spray. Rahman told the officer he was “good to go” but was arrested as he walked away carrying the fake bomb, in Kensington. Mr Justice Haddon-Cave said Rahman’s plan was to cause carnage in Downing Street, by blowing up the gates, killing or disabling security guards then entering Number 10 armed with a knife and explosives with Mrs May being “the ultimate target”. He said: “I am sure … Rahman believed the devices to be real and capable of the most serious harm – he was told and believed that the rucksack bomb would be capable of causing casualties on a scale comparable to those caused at the Manchester Arena to police officers, bystanders and tourists in and around the entrance to Downing Street. “He was told and believed that the suicide vest within his jacket would be capable of creating a lethal area of 10 metres to his front, with some degree of lethality to the rear. Scotland Yard deputy assistant commissioner Dean Haydon said: “Rahman is an extremely dangerous and determined individual. “Rahman’s target was the Prime Minister but he had no qualms about killing innocent bystanders in the process of reaching her. In fact, at one point he told a covert counter terrorism officer that even if he could not reach the Prime Minister, he just wanted to strike fear into people.